Canadian Forest Service - FTS Inc.
A science-based policy organization under the department of Natural Resources Canada responsible for promoting both the sustainable development of Canada’s forests and the market competitiveness of the forestry industry. As the second largest country by total area, Canada contains over 1/3 of total global forest cover as well as much of the world’s fresh water. 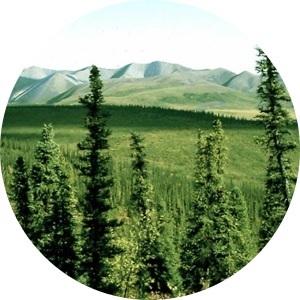 The territory covered by the Canadian Forest Service includes many different types of terrain, such as magnificent mountain ranges, flat Prairie lands, rolling grasslands and hills, and ice and taiga in the northern regions. 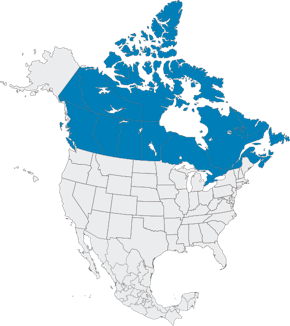 Boreal forests cover much of the country. The climate varies throughout the country, from subarctic-arctic temperatures in the north, to a continental climate in the southern interior regions, and temperate weather on the coasts. Cold winters are not uncommon, and the hot summers pose significant wildfire danger. The Canadian Forest Service has been an FTS customer since 1984. Includes a mix of fixed and portable stations used primarily for fire danger calculation in two types of test plots: a) growing conditions in nursery operations for new hybrids; and b) fire behavior observation and tests, which are extremely important for fire suppression training purposes and are intensely watched by the U.S. fire weather industry.